I read Beth Moore's Living Proof Ministries blog. She posted a video devotional recently that resonated with me. The message was about the season of summer and how it can easily become a time of spiritual drought for Christians. I understand this so well, because I have fallen into apathy and discouragement during previous summers... and I have been praying for this one to be a summer of fruit, not a summer of drought. Let me share Psalm 32:1-4. "Blessed is the one whose transgressions are forgiven, whose sins are covered. Blessed is the one whose sin the Lord does not count against them and in whose spirit is no deceit. When I kept silent, my bones wasted away through my groaning all day long. For day and night, your hand was heavy on me; my strength was sapped as in the heat of summer." It's funny how summer can so easily be a season of spiritual drought, because where I live in Texas, a drought usually does come in the summer months, literally. My hometown has gotten few inches of rain the last few years combined. As May creeps around, so do days of glaring sun and cloudless sky and cracked earth. Any green that flourished in April withers away. The water in our well deteriorates. And as soon as you step outside into 100+ degree heat, your breath is taken away for a few moments, simply because of the heat. You can almost wear our Texas heat like a coat. It cloaks itself around your shoulders in a suffocating, heavy kind of way. I understand all too well the heat of summer. David compares his spiritual distance from God to feeling as if his strength was sapped in the heat of summer. It is a similar feeling. If you're not careful, Christian, the summer can become a time of spiritual drought, with consequences as wearying as the hottest August day. Check out this quote from a blog post I wrote on July 4, 2011. I'll admit it. It's been harder to feel God this summer than it usually is. And maybe it's entirely my fault. I can't help but compare my emotional and spiritual weariness and thirst to the land around me. To the parched ground in my backyard. To my empty well. To the state of my city. We need rain. It may be our driest year yet, but it WILL rain. Rain will come and nourish the ground one day. It will bring color into the grass and water into our wells. This may not happen for a while, but it will come. God will never abandon us. And even when I'm going through a dry spell like I have this summer, I have faith that God will not leave me. He is still here, even when His footprints are not seen. For the first time all day and perhaps even all week, I felt like God was near. I felt Him hold me. Hours before, I had written something for my blog, talking about how I had faith that it would rain one day. That I knew God would send us rain. And then it rained for the first time in months. During a time where I felt distant from God, He sent rain. He didn't just send rain on the earth. He sent rain on my heart that night too. It was such a beautiful moment. It was like the Lord was giving me a huge hug and saying, "Emily, don't you see? I never left. Please let me hold you." Days later, I still feel so grateful, so amazed that He gave me exactly what I needed. The rain was such a gift to our thirsty city and to my thirsty heart. Even when our fickle human emotions makes us feel distant from God, it doesn't mean He feels the same way. God is always near. He's always working. His love is far more unceasing and relentless than our own shifting feelings. When David was feeling frustrated and distant from God, exhausted even by worship and grieving in his brokenness, God was not ignoring him. He still called David a man after God's own heart. His love was big and powerful. But David's own frustrations and guilt distanced his heart from God, and by the middle of the psalm, he had identified a big part of his problem. Sin. Let me remind you that we live under a covenant of grace. Christ's death on the cross took the punishment for your sin and you are separated from God no longer. However, sin that you are keeping unconfessed and in your heart, even if it is forgiven by God, can become a source of self-imposed distance in your relationship with Him. Let me share verses 5-7 of this same chapter of the Bible. "Then I acknowledged my sin to you and did not cover up my iniquity. I said, "I will confess my transgressions to the Lord." And you forgave the guilt of my sin. Therefore let all the faithful pray to you while you may be found; surely the rising of the mighty waters will not reach them. You are my hiding place; you will protect me from trouble and surround me with songs of deliverance." Your sin may not be as obvious as lying or addiction, but it may still be there in your heart. Your sin may be bitterness festering like a rotting wound. Your sin may be apathy, unwillingness to get up and obey what the Lord is asking you to do. Your sin may be shame because of your sin, a lie and a form of pride that makes you believe what you have done is too bad for your Father to ever forgive. I encourage you to search your heart tonight. Ask God to reveal any sin that may be causing you to create a distance in your relationship with Him. And regardless of what the answer is, if you are going through a season of weariness and drought, do not despair. As long as you are on this earth, you will go through times of nourishment and times of exhaustion. Elijah grew so frustrated that he asked God to take his life. From his psalms, David seemed on a constant roller-coaster of emotions and "Why, God, why?!"s. Paul struggled, Peter struggled, and so will you as long as you are on this earth. If this is a summer of spiritual drought for you, I challenge you to spend more time in worship, prayer, and the Word than you usually would. Even if you feel as if God is a trillion miles away, He knows the yearnings of your heart and He will reward your seeking nearness with Him. He will not ignore you. Jeremiah 29:11-14 says, "'For I know the plans I have for you,' declares the Lord, 'plans to prosper you and not to harm you, plans to give you hope and a future. Then you will call on me and come and pray to me, and I will listen to you. You will seek me and find me when you seek me with all your heart. I will be found by you,' declares the Lord, "and will bring you back from captivity.'" Even if your heart fails, His will not. Have faith this summer. Ask the Lord to bring a season of fruit instead of a season of drought... and remember that sometimes the sweetest of fruit can come from a place of wilderness. Here is a blog post I wrote on July 5, 2012, describing last summer. 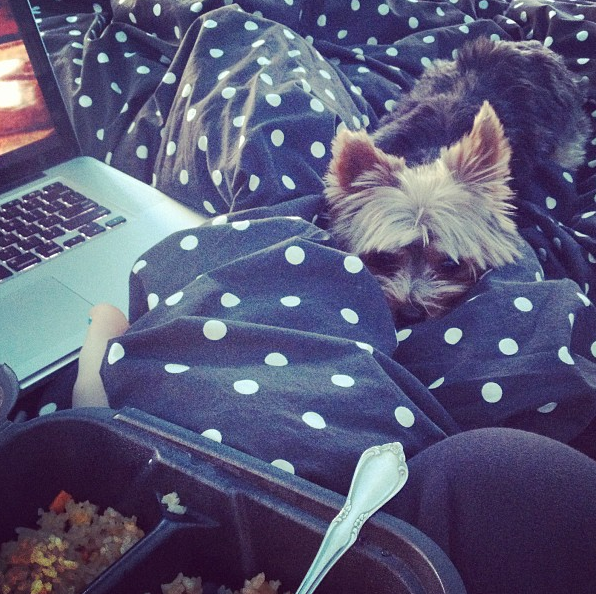 Last summer was one of the hardest I've ever had and I look back on it with frustration to this day. But I learned from it and the Lord spoke precious things to me in those months. Looking back, all I can feel is thankful for His faithfulness, even when I didn't see it at the time. 1.) KENYA. Holy moly, y'all, I will be on an airplane to Africa in THREE DAYS. Three days! The fact that I leave on Thursday and it's already Monday is hitting me in a way that spurs excitement and some anxiety in me all at once. Even though I've already been to Kenya before and I know that God is moving in such powerful ways through this mission trip, the idea of leaving my family for the other side of the world (and attempting to remember and decide everything needed to pack in a small suitcase) is enough to make me feel a little anxious and batty. But truthfully, I am thankful that for a couple of weeks, I will be in a place where I must focus on the Lord and serving His children. No phone, no laptop, no extensive wardrobe to choose from each day. When I decided to begin fundraising for this trip, I had to rely fully on the Lord to provide... and on this journey, I will need to rely on Him again, to keep me healthy and safe and provide everything I need. He is faithful! I am so excited. I'll be posting pre-written daily prayer requests while I'm gone (June 20-July 4) and I'll also post a printable prayer request schedule the day before I leave, for those who have asked. 2.) Have you ever watched that hit TV show, Duck Dynasty? I actually have never seen an episode, but while I'm in college, the only television I watch outside of Hulu and Netflix is Aggie football games. That's it. My family members are all huge fans of the show, however. The men appear to be godly and outspoken in their faith, which is so great. Check out one of the latest Christian Relief Fund blog posts. Willie and Korie Robertson of Duck Dynasty sponsor Giovani, a Nicaraguan girl supported by one of our programs. They've also been on several mission trips with CRF. They've been supporting Christian Relief Fund since before "Duck Dynasty." Even though I don't watch the show, I appreciate it that this family is taking the time and effort to love on children around the world. So great! 3.) This song. I've loved the song since John Mark McMillan's original version came out when I was in middle school, but I'm obsessed with Kim Walker-Smith's version of it too! I've been listening to the Jesus Culture channel on Pandora nonstop at work. Who are some of your favorite worship artists? 4.) The fact that I may have the cutest dog ever. For real. Every so often, I feel the irresistible urge to share pictures of Jack on this blog, because he's the most photogenic little dog ever! 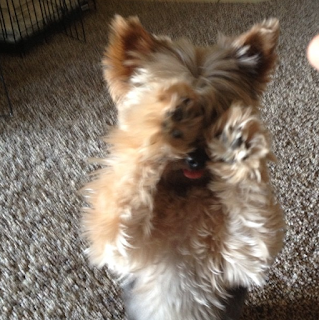 Here's what Jack does when I bring out the treats. And here's his face when he really, really, really wants to play. Here's his face when he's watching me eat dinner and I won't give him a bite (since he's a dog and all). 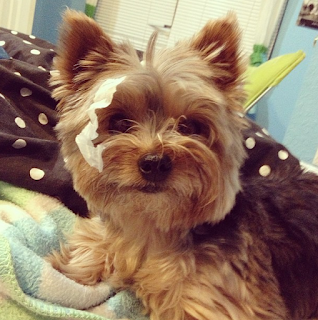 And finally, here's his face after I've caught him playing with a paper towel. 5.) The Almost's "Your Love is Extravagant" is another song I've been listening to on repeat lately. I really love the lyrics. Your friendship is so intimate. I find I'm moving to the rhythms of Your grace. Your fragrance is intoxicating in our secret place. What are five things on your mind today? Two years ago: Feeling Lazy? Every month this year, I am writing a letter to my sponsored daughter, Lavin, through Christian Relief Fund. This month will work a little differently. Yes, I will write Lavin a letter, but I will not be sending it in the mail. In four days, I will be on my way to Kenya, Africa, where I will be able to give my letter to Lavin in person. So today, instead of sharing the contents of my letter and giving ideas of what to write and little things to send, I'm going to show you what I'm bringing my family's sponsored children, just because I am so very excited. My family sponsors three children in total. 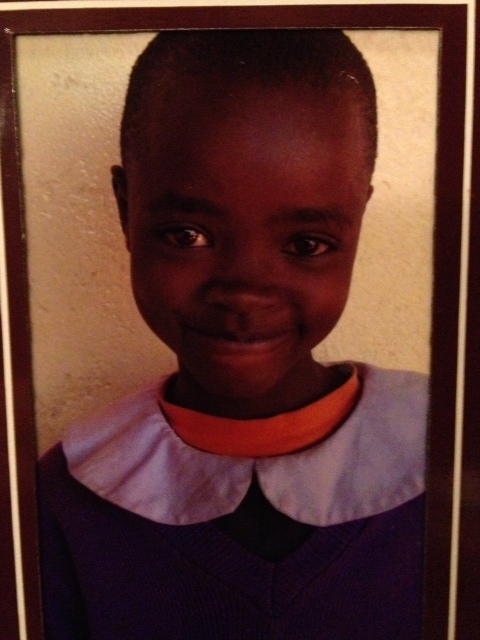 As I'm sure you know by now, I sponsor Lavin, my sweet daughter who is sixteen (can you believe it?!). She was twelve when I met her for the first time and we have kept in touch regularly since then. My parents also sponsor two kids named Faith and David. My dear friend Barbie and I were given the gift of naming David when we visited him in the Bush outside of Eldoret, Kenya in 2009. His mother had ten kids, was exhausted and hungry, and had not yet named her infant son. We named him David, because David from the Bible was also the youngest of many brothers and he turned out to be a mighty king and a man after God's own heart. Needless to say, I am so very excited to see David again. He was only a few months old the last time I saw him and now he is about four. 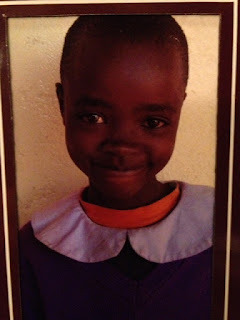 My family also sponsors another little girl from Eldoret, Kenya. Her name is Faith. We began sponsoring her not too long ago, so I have not met her yet, which is why the only picture I can show you is the slightly dark one we have up on our fridge. I am thrilled to love on this beautiful ten-year-old. I don't have much room to bring gifts, but I couldn't help but get a few small things to bring to each of our kids. It is a special thing to meet one's adopted parent, and I loved giving Lavin a gift when I first met her so many years ago. A couple of weeks ago, my mom and I went to Target to look around and find some appropriate gifts for our three kids. This is what we came up with. 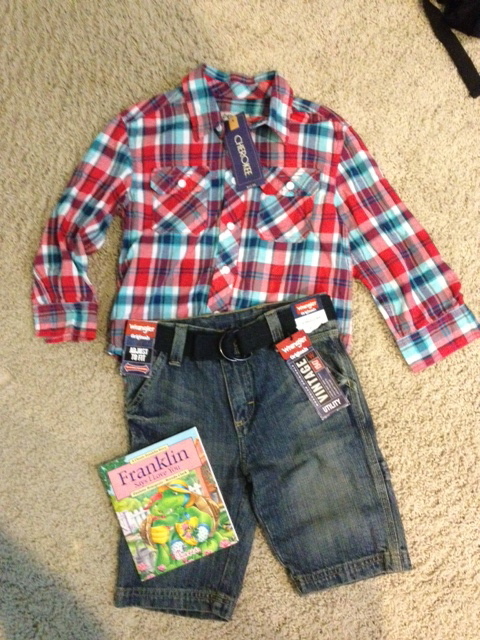 For David, we picked out a little outfit. A nice plaid shirt with sleeves that can roll up or be long (it is cooler in Eldoret than you might expect). A pair of denim shorts with a little belt. I also added a small paperback book I got as a kid's meal prize at Chickfila. It's short and sweet and will most likely be David's very first book of his own. 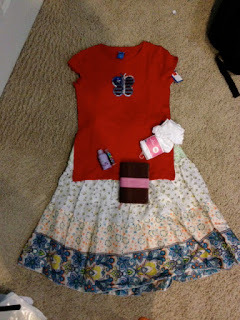 For Faith, we picked out a red shirt with the American flag in the shape of a butterfly on the front. The Kenyans I've met love America, especially now that Obama is president (because he is half-Kenyan) and so anything red, white, and blue is a big hit. We also got Faith a little skirt and a pair of frilly socks. These socks have a story. It's kind of funny, because the youngest in my family, Luke, is already several inches taller than I am, so my mom and I had no idea what size of socks to get a ten-year-old girl. We actually had to stop a mother who was toting around some young kids to ask her for help. She said, "Well, how tall is the girl?" There was an awkward pause and I said, "Um... she actually lives in Africa." The mom was so kind, so she smiled and said, "I think those will be perfect." I also am passing down a pink pocket Bible to Faith that I used to have. It isn't very worn and since she is old enough to read, I want to make sure she has a Bible of her own. I'll also slip in a couple of sweet-smelling lotions and soaps for her to enjoy. For Lavin, I got a few small things. It was my friend Barbie's idea to get a copy of Jesus Calling by Sarah Young for Lavin and tell her that we can study the same devotional every morning. How special! I gave Lavin a pocket Bible in a simple translation in 2009; now I'll give her a slightly bigger Bible in the NIV translation. I'm giving her a Texas A&M bracelet, a card, some magnetic bookmarks, and a few sweet-smelling lotions and body sprays. Also, while I'm in Kenya, I will be bringing some money to buy Lavin an extra set of textbooks to bring home from class each day so she can improve her grades. I'm most excited for a little necklace that I had to look for long and hard before I actually found. 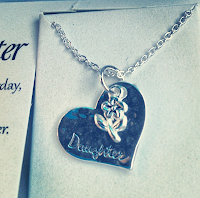 It says "Daughter" and I'm so excited to give it to Lavin, because she will always be my daughter, no matter how many miles separate us. I am growing more and more excited with each passing day. I can't wait to give each of my sweet kids their gifts, but most importantly, I am so eager to embrace each of them and say, "Jesus loves you so much, and so do I." A few days ago, I was reading an article called How Art Can Be Activism by Dan Haseltine, the founder of Blood: Water Mission and singer of Jars of Clay. He made some great points in this article. As one who shares his heart for humanitarian work, I decided to add to some of his thoughts. In the American culture, activism is stylish. Invisible Children's "Kony 2012" campaign exploded into awareness for a brief and astounding few weeks. TOMS, a brand of shoes that offers a pair to a needy child for each pair purchased ("one-for-one"), are everywhere on my college campus. I have yet to attend a Christian concert without a break in the middle to raise awareness for Compassion International or World Vision. I'm a college student, and I don't go a day on my university campus without seeing some sort of social activism taking place. My closet is full of t-shirts that raise awareness for causes: "This Shirt Feeds Starving Children," "Pray for Haiti," "Life is Greater Than Comfort: The Wells Project," "TWLOHA," "Kenya, Feel the Love," and I could go on and on. Activism is certainly trending right now. A perk of young, artistic students becoming interested in activism is the display of art that arises. Dan Haseltine says, "Art draws people into a conversation- a powerful tool in the world of aid. A skillfully communicated story, a compelling photo, an infographic or video montage can capture the compassion of those who otherwise might not have taken that second look. Art can show people the humanity of a justice cause and so engage their support." Something I learned from one of my communications classes last semester is that art brings conversation, whether in your own mind or by bringing you into discussion with people around you. The photographs and t-shirts and shoes and paintings all create awareness for real issues. TOMS are attractive shoes, but they remind wearers to some extent that there are children in the world at this moment who have no shoes and need them. A piece of writing or a painting can spark conversation that could ignite change. This world needs educators and problem-solvers to create solutions to the huge magnitude of troubles that currently exist. If art is creating conversation that needs to happen, then it's a good thing, right? To an extent. Much of activism today seems to create art focused solely on pop culture. Would broke college students students spend $60 on a pair of TOMS if they weren't stylish, even if kids in Africa still needed shoes? Would someone really have donated $20 to that organization if they didn't offer a cool t-shirt? "So what?" you might be thinking. "As long as funds are being donated, who cares if motives are in the right place or not?" The biggest problem with this is that it creates no accountability. Perhaps one organization is selling awesome merchandise to raise funds towards their cause while another has a shortage of young, trendy artists to help them keep up. Even if only 30% goes to the first cause and 93% goes to the second, the organization with the coolest t-shirt is probably going to win, and the donator will feel just as good about what they gave. The same goes if the first cause has people causing more harm than good, and the second is making a big difference. The cool t-shirt will probably be chosen because the buyer won't bother to do their research. At my university, people sell t-shirts and bracelets on the sidewalks, raising money for all sorts of causes. And I've done exactly what I'm talking about, seeing a shirt or water bottle that I think looks cool, justifying my purchase with the excuse, "It helps hungry kids in Zambia anyways," and I never look up the organization again. As Haseltine said in his article, "What if they are resented in the communities they attempt to serve? ...It has become a problem in the fragmented rise of mini nonprofit aid organizations that have big hearts and cool t-shirts yet poor practices." When we support an aid organization focused more on pop culture than the actual solution, we are falling into a practice of no accountability and failed motives. A final quote from Haseltine I would like to share is: "Art loses its 'good' when it fails to honor and dignify its subjects. There's a difference between portraying people to humanize them and market them. ...If you wouldn't show your art to a person in the community you serve, that's a pretty good sign that the art should change." Check out this blog article by Hugh, the founder of Love Wins Ministries about the recent campaign called #FitchtheHomeless. You can read about it all here. Hugh writes about this same issue. People are giving Abercrombie & Fitch clothing to homeless people as a way to get back at the "elite" and snobbish brand. Most people say it's a good thing; homeless people are getting clothes, even if the motives behind the giving are a little twisted. However, while homeless people may need clothes, they are being dehumanized through this campaign and that is completely wrong. Hugh says, "Consider how you would feel about this story if, instead of 'homeless people', the story was that a man shot a video that sought to offend the brand by giving its clothes to black people or gay people. The internet would be in an outrage, rightfully calling the video racist or homophobic. ...It is never okay to stigmatize people in the defense of your cause – no matter how just or good it is. It is never okay to use poor people – or, in fact, any people, as props or object lessons or teaching tools. Ever." In the joyful chaos of social activism, it's easy to think about the cause and not the people behind it. The malnourished children are more than award-winning photos and conversation-provoking t-shirts. They are children. 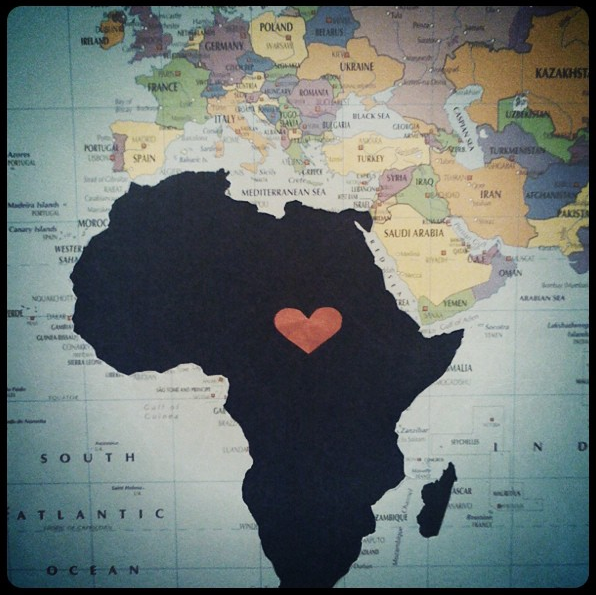 Africa is more than starvation and poverty; it's a continent filled with diversity, beauty, and love. There is meaningful change in the trendy social activism that I've seen springing up all around me during my college years, but there is a danger too. Before you go out and support an aid organization simply because of its trendiness, I challenge you to check your motives. Do some background research. Remind yourself of why you're donating and who you're really trying to bring relief. I don't know when You first spoke my name. And I don't know when You formed the stars and won my heart. And I know that You reign and still for me, You died. Is that I'm loved by a King. I don't know what colors are in Your eyes. And I don't know why You broke Your heart to restore mine. Holy is the Lord. Holy are you, Lord. I borrowed this survey from Claudia at Lashes and Beard. Feel free to answer these questions yourself! A // Available or Married? I guess I would say I'm available, although I hate to use that term. I'd rather say that I'm perfectly content where the Lord has placed me right now and we'll see what happens in the future. At this moment, I'm single and I'm fine with that. I'm not sure exactly what this is asking, so I'll answer in a few different ways. My favorite book would probably be Havah by Tosca Lee. The last book I read was Little Bee by Chris Cleave. The book I'm about to start reading is Radical Together by David Platt. If you want to join me in my summer reading list, check it out here. C // Cake or pie? I like pie so much better than cake. I tend to like salty snacks more than sweet snacks, so icing on cake is usually a bit too sugary for my taste. But a good cherry pie is like heaven. And even better than pie... COBBLER. D // Drink of choice? 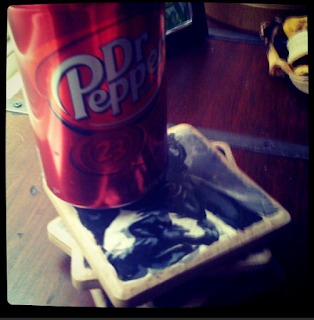 My favorite drink ever is Dr. Pepper. If you're not from Texas, you may not even know what that tastes like, but it's wonderful. I'm trying to cut down on sodas though, just because of health, so I'm working on improving my taste for drinks like Arizona Tea and Propel. I'm writing this while drinking a Cherry Coke, so my resolve is clearly not the highest. It's probably a tie between my guitar and my phone. I hate to be one of those people who can't be separated from their phone, but this phone is pretty much a miniature laptop, which I would have called my essential item about two years ago. On the other hand, when I spend more than a couple of days without playing songs on my guitar, I start feeling like my head is going to fall off, so there's that. Blue. Bright blue. Or teal. G // Game to play or watch? It's a nerdy game, I know, but I like playing Settlers of Catan. Taboo is another favorite, as well as Apples to Apples. The only games I watch are Aggie Football games, if they count. My first instagram picture, by the way. Probably soda, as I was saying before. Or Sour Patch Kids. As much as candy typically disinterests me, I'm obsessed with those things. 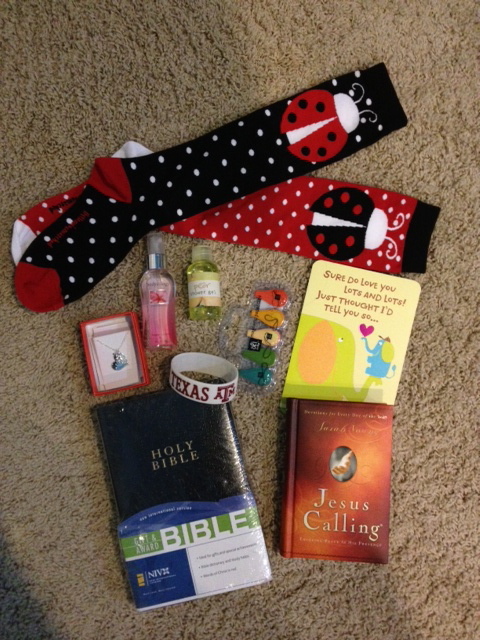 I'm an intern for Christian Relief Fund, and I could not be more blessed by this job. For the first time in my life (the last two years), I have gone to work every day of the summer feeling excited about what I'm going to do. I don't even dread waking up early, which is a big deal for me. I love this ministry. K // Kids and names? I don't know about the whole kids thing, but I don't want to rule it out and keep God's will separate from my own. His plan is better than mine. If I do have kids, I would prefer to adopt. My favorite girl names are Avia Lyn and Story. My favorite boy names are Charlie and Jack. Yes, I know my dog's name is Jack and my fish's name was Charlie... but when you don't have kids, you have to use the names somewhere, right? L // Life is incomplete without...? Faith in Christ. Without Him, my life would truly be purposeless. And I'm not saying that to sound spiritual. I've tried it, it didn't work, and I wanted to end everything. He is everything in my life. This is why I can be joyful and content when anything else is gone. M // Music group or singer? Some of my favorite artists are Elvis Presley (of course), B. Reith, Kim Walker, Sara Bareilles, and Jack Johnson. Some of my favorite bands are NeedtoBreathe, (the old) Newsboys, Imagine Dragons, Shane & Shane, Fun., and Jesus Culture. N // Number of siblings? I have an adopted sister who was my best friend in high school. Her name is Ali and she is my age, 20. I also have a 17-year-old sister named Amy and a 13-year-old brother named Luke. O // Oranges or apples? I actually don't really like either one of those. I'm more of a raspberry kind of girl. I don't like oranges, but I love, love, love orange juice, if that makes a difference. P // Phobias and fears? Sharks and water are probably my number one right now. We have a dry erase board at my college house. We started out writing all sorts of things on it, and then it ended up becoming a place where I wrote a quote on it every week or so. And any time people came over, they would always comment on the quotes. But I really just love taking quotes from people I admire and gleaning from their wisdom. Quotes are great. One of my favorite quotes is, "There's no doubt we were unworthy, but we were never worthless. Big difference," by Louie Giglio. R // Reason to smile? Well, the biggest reason right now would be that I'm heading to Kenya, Africa in eight days. That's pretty great. There are so many other reasons too, like the fact that I have precious friends who keep in touch with me even when we are miles and miles away. And the job I love more than I could have ever even thought to ask God for. And for my parents. 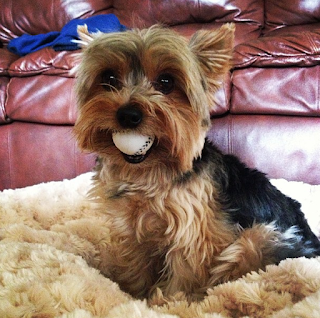 And even for my little dog, Jack. Definitely summer. I love being free from school (which isn't my favorite part of life, by far), the summer sun, my favorite holiday, and the fact that it is warm outside! My second favorite would probably be spring, because rain is my favorite kind of weather. I'm afraid I would get bored of my tattoo before the year was even over. So no. I've been blogging for just under four years now. There aren't a lot of great unknown facts I haven't already shared on here. The first thing that came to mind was that I've kept nearly every movie ticket I've gotten since something like 2006, minus a few incidents of forgetfulness. V // Vegetables you love? Believe me, there aren't many. I can't stand most vegetables. But I usually do like green beans. And I like plain salads most of the time (with ranch and no other veggies but lettuce and carrots). And fried okra. I know, I know, I'm horrible at this whole "be healthy" thing. Staying up late. I will plan in advance to go to bed at a reasonable time, but a writing idea always pops into my head around 11 or 12 at night, and then I'm always, always, always up much later than that while my creative juices pour out of my brain. X // X-rays you've had? I've x-rayed a few limbs here and there throughout my childhood. My most recent x-rays were on my elbow and ankle after I got into a bad longboarding accident last August. This accident sure messed up my poor body. I tore a ligament in my ankle, scratched up my arms, badly bruised both elbows and right hip, messed up my sternum so that it hurt to breathe for a while, bruised my jaw, had whiplash, and got a concussion. Ridiculous, right? 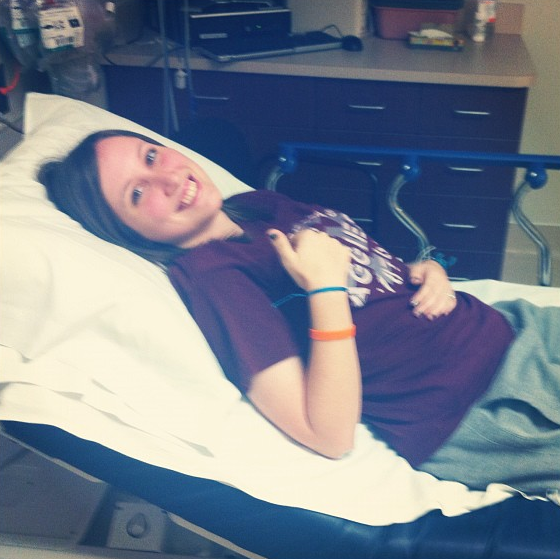 I had to get a CT-scan for my minor head injury, but I turned out okay. Needless to say though, I was stuck in the house for a few days after my accident. Y // Your favorite food? Chips and queso! Tex-Mex all the way. Does anyone actually follow their horoscopes? I believe I'm a Libra, but I'm not certain, nor do I care. To end this, what is your favorite quote? I falter like a crumbling flower in a dried up land. You beckon like a daddy, Your glory like a king. I come with nothing but my thirst. You gave everything. You cradled me in gentle arms. You called me by name. And so I've found my joy at the foot of Your throne. In You, I am a daughter. In You, I've found my home. If you are an American, you have probably heard about the devastating tornado damage in Moore, Oklahoma. I hate to even compare my own situation to this, but not long ago, my family was given a taste (and I mean a taste) of the damaging affects of a storm. It was not nearly as horrific as what happened to our friends and neighbors in Oklahoma, but it was enough to cause us to further appreciate what it means for an act of nature to be violent enough to destroy parts of your home. And it's a story to tell, so I will. While I was in North Carolina, a tornadic hail storm hit my hometown. Yes, a tornado touched the ground, although I don't believe it destroyed a single home in my area, thank God. 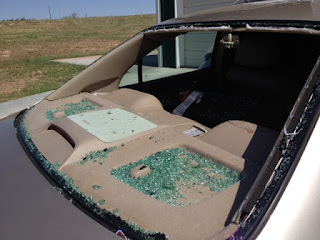 However, hail the size of golf balls (and in some areas, baseballs) wiped through my town and wreaked minor havoc. I borrowed this picture from the Facebook of my friend Kayla, and I hope she doesn't mind (if you see this and do mind, let me know). But look at this. I almost wish I was there to see the ground blanketed in such massive pieces of ice, like a snowstorm turned into the abominable snowman. States away, my family had heard about the storm. We knew hail like that must have damaged our home. But still, we dreaded to return and see the extent of what it did. Like I said, it was only a taste of what it could have been, and barely that. But here is the damage a bit of hail did to my home. The funniest is our benches. We have these white, plastic benches we use during barbecues and family get-togethers, when we don't have enough seating in the kitchen. They open into picnic tables. Well, these things were absolutely pummeled by the hail. Destroyed. Both of them. I've never seen anything like it. It's been a few days now, and we still haven't thrown them out. I think part of it is an, "Ahh, I hate to throw out a formerly perfectly good bench!" mentality, and then also a bit of, "Aww, but I loved these benches!" Still, it's time for them to go. On the less funny side, our roof was pretty much wrecked. We'll have to have it replaced. This week, my family is thanking the Lord for insurance! All over our yard are piles of roof material. My little brother, who is too young for a real job, now has some work cut out for him. What a mess. Another not-so-funny part was Ali's car. The storm pounded her little Honda without mercy. Her back windshield was completely broken. Her front windshield looks like a spiderweb. Her car is now decorated with hundreds of ping-pong-ball-sized dents, bumper to bumper. We're not sure if this damaged car is redeemable. We'll have to see. Other parts of our land and home were damaged, such as our paint, the few small trees on our acreage, our gardens, and our rose bushes. Our metal barn is badly dented, a window in our house is broken, and we have destroyed railings. And of course, there are damaged lights, flower pots, and lawn decorations. Our house was shaken up so much that picture frames fell and broke from the wall. What a storm this must have been! All-in-all, the damage done to our home will cost us, but it's nothing compared to losing our house or far worse, a loved one. As we survey what some mighty winds and angry balls of hail did to our belongings, I cannot help but remember Job, after a storm took his home (and many other terrible things happened as well). He said in Job 1:21, "The Lord gave and the Lord has taken away; may the name of the Lord be praised." If, after losing everything, Job could sit back with perspective and praise the Lord, then so can we. A car is lost, a roof is lost, a lawn is lost. But these are only things. The Lord gives and the Lord takes away, but He will be praised. I cannot even begin to imagine what it would be like to return and see my home turned to rubble and debris, but I pray that I would still have this perspective. May the name of the Lord be praised. Even the hail storm itself, the wind and the rain and the ice, offer praise to the Lord. His glory is undeniable, even by the mighty nature that seems so eager to destroy this time of year. Psalm 148 says, "Praise the Lord from the earth, you great sea creatures and all ocean depths, lightning and hail, snow and clouds, stormy winds that do His bidding." In everything, God is worthy to be praised. In the aftermath of the most terrible storm and in the refuge when it's over, His name should be proclaimed from the ends of the earth. Have you stopped to praise Him today? Every month for 2013, I am sharing goals to accomplish. At the end of the month, I'll give myself a report card. I borrowed this idea from Kelli at She Learn as She Goes. Get all of my vaccinations and medications in order before I go to Kenya. All I have left are strong all-purpose antibiotics, malaria medication, and typhoid pills. I'm pretty far along in packing, but I only have two weeks left from tomorrow before I leave, so I'd like to be completely packed as soon as possible. This is my goal every month. There are still a few books on my summer reading list I'd like to knock off. Maybe on the plane headed to Africa. Make a prayer request list for all of those who have been supporting my trip. This is what someone from our group did the last time I visited Kenya. They made a list of what people could pray for each day we were gone and printed it out. I'd like to make one of these to print out for my family, post on Facebook for my friends, and share on my blog. We will appreciate any and all prayer! Prepare a gift for my sponsored daughter, Lavin. I cannot wait to see her in just over two weeks. I'd like to bring her something special, but I'm still coming up with ideas. If you've followed my blog at all the last three months, you have probably noticed that I've been fundraising to go to Kenya, Africa this summer. Now that my goals have been reached, I would like to offer ten fundraising ideas to any of you who may be fundraising to go on a mission trip. Spaghetti dinner. 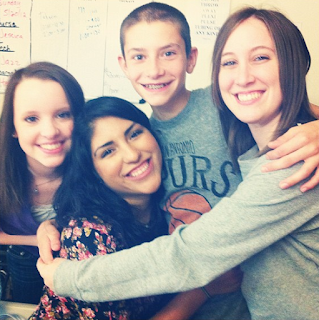 A few of my precious friends threw a spaghetti dinner for me to help me raise money for Kenya. Spaghetti is inexpensive and easy to make. Parents donated most of the funds for the spaghetti, sauce, lemonade, tea, and garlic bread. We invited everyone we knew (via Facebook, mostly) to come over on a Tuesday night before a big campus Bible study. $5 a plate. As much spaghetti as you could ever want. The dinner was a big hit. More than thirty of my friends showed up, as well as some new faces! We ate spaghetti, we fellowshiped, and we watched God move. Textbook drive. Another of my sweet friends had this idea and helped me carry it through. At the end of the semester, we made a Facebook event asking our friends to donate their textbooks towards my mission trip. Several friends showed up with arms full of textbooks. On our last day in town, Melanie and I loaded the books into her car and drove them to the bookstore. We made nearly $300! We were speechless. Support letters. This may make you feel uncomfortable (believe me, I understand because I have done it before in the past), but it works. My friend and roomie Rebecca went to Brazil at the beginning of this summer on a missions trip with our church. She sent out support letters and the Lord faithfully provided in a very short amount of time. Profit share. Some businesses offer profit shares, where you can set up a table and collect receipts from customers in order to collect 10% of the cost of the meal. When my friend Kerry went to Sierra Leone last summer, a fast-food restaurant in our town allowed her to have a profit share. Call the manager at a few restaurants, especially if they are Christian-based. They might allow you to have a profit share one evening. Make a CD. This summer, my friend Lindi is going to Rwanda. She has a talent for music, so she recorded a basic CD of songs using GarageBand on her computer. The CD was simple, sweet, and a great way to raise money for her trip. She sold them for $10. I bought one! Sell bracelets. 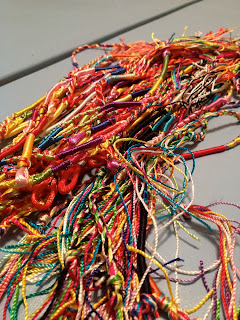 I bought about a hundred inexpensive braided friendship bracelets off of eBay. I got them for something like a quarter a bracelet and sold a ton for $3 each. This is a small way to earn money, but it helps. The ones I didn't sell, I'll give to the kids I meet while I'm in Kenya. Sell jewelry/coffee/purses/whatever you can find. I'm listing this separately, because I'm advising you to buy (or make) bracelets in bulk, but you could also sell other things to fundraise. My friend Larry donated a bunch of coffee and Kenyan jewelry for me to sell as fundraisers. This helped me raise hundreds of dollars towards my trip. My friend Lauren sold purses to help raise money for her own mission trip to Peru. If you are creative or have something you could sell, use it! Paint pictures, make purses, purchase something in bulk and sell it to fundraise. Use your blog. If you blog like I do, make an account on Fundly or through your organization and keep up a button where your readers can donate. Write a blog post about how they could help and why it means something to you. Who knows? Someone might feel led to give, even if you don't expect it. One donor gave $100 towards my trip, just from reading my blog! I was so touched. Use Facebook. Make a group or event, encouraging your Facebook friends to donate. The Lord places on the hearts of people you don't expect to give in amounts you would never guess. Don't be afraid to ask your friends to prayerfully consider giving. Don't pressure them by asking over and over, but don't be afraid to ask that first time. Have a garage sale. Some friends threw a garage sale for my Naana and raised quite a bit of money! Ask your friends to donate old belongings to sell. A garage sale can be a great way to fund raise... and a lot of fun. Be sure to set out a donation jar with a sign that explains why you are having the garage sale in the first place. Trust. Ultimately, if it's the Lord's plan for you to go on this trip, He will provide. Don't waste your time stressing about whether or not you'll come up with the money. I entered the month of March not even planning to go to Africa this summer and had nearly all of the money raised by the end of the month. God provides, and He is eager to show His faithfulness. At least half of the funds raised for my trip was from people who felt called to give, simply after hearing my story and feeling the Lord place the desire on their hearts. If the desire of your heart is to share the Gospel and love the nations like Christ, then your desire reflects God. The Bible says He gives good gifts to those who ask Him, so don't be afraid to ask! When you find yourself falling into stress and doubts about your fundraising, intentionally spend the time instead in prayer, asking God for His will. Is it His desire for you to head to Cuba this summer, or is it your own? What is He planning for you? Don't be afraid to ask Him and wait patiently for the answer. He will provide in ways you might never expect. Teach me Your way, Lord, that I may rely on Your faithfulness. If you've ever raised money for a mission trip, share your own tips and ideas in the comments. Also, please feel free to share stories of the Lord's faithfulness in providing what you needed. He is good! Two years ago: Can I get a thumbs up? With each new month, I share my goals on this blog so that you, my friends, can hold me accountable. At the end of the month, I share a report card on my progress. I borrowed this idea from Kelli at She Learns as She Goes. My report card for the month of May was extensive, but overall, I didn't do so badly. I managed to head back to my hometown, so this was a success! My final exams weren't horrible, but my final GPA could have been a little better. I hurt my knee, so while I missed the last few days of the Planking Challenge, I can successfully say that I exercised for at least 15 minutes every day I was home until my vacation. And that was the point of my challenge, so I'm not going to give myself a very decreased score. I did clean my college bedroom, but I didn't deep clean it. I was in a bit of a hurry at the end, but I did manage to dust, vacuum, clean out my closet, and make my bed. I did finish unpacking all of my clothes, but not quite all of my belongings. It won't take me long for my room to be completely unpacked, however. This month, I have read "The Fault in Our Stars" by John Green, "And the Mountains Echoed" by Khaled Hosseini, "Design of Man: Made to Worship" by A.W. 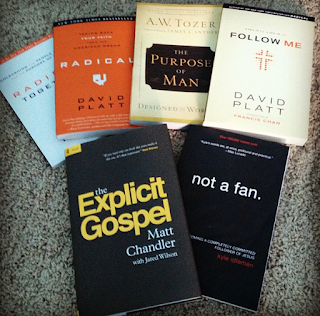 Tozer, "Radical" by David Platt, and "The Explicit Gospel" by Matt Chandler. I'm pretty proud of the extent of my reading this month! I'm on vacation as I write this, so I certainly did this! Although I did pack the night before we left. Some nights I went to bed at a healthy midnight. Others, I was in bed by two. Since I need to be up by 7:30 in the morning, anything after midnight is tiring and silly. I need better habits! As I collect things to bring on my trip, I pack them. My suitcase was actually destroyed on this family vacation, so we went and bought a new one. When I get home, I'll transfer everything into my official Kenya luggage. So far, I have the majority of what I need packed. Only a few last minute details left. I pretty much completely forgot about this with the chaos of unpacking, re-packing, starting work for the summer, and heading off to North and South Carolina. I'll need to get this settled in the next three weeks before my big trip. Ultimately, I'm happy with this score. Other than the F, I pretty much completed all of my goals for this month. Next month, I plan to set fewer goals. Did you accomplish what needed to be done in the month of May?